My brother and sister-in-law recently attended a reunion for her family. As you can imagine lots of pictures were taken in a variety of configurations but there was one picture in particular that I felt deserved some extra attention, and just in time for a birthday gift too. 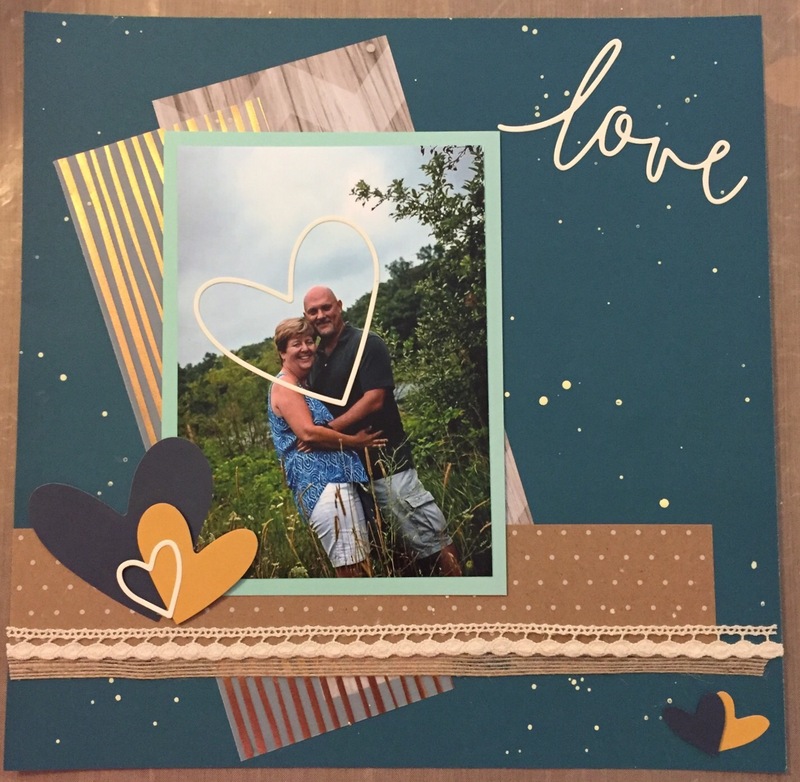 Once I adhered the patterned strips from Rustic Home Fundamentals paper pack, I mixed a touch of yellow with white watercolor paint to create a cream more compatible with the Colonial White cardstock used and then “splattered” to add some additional texture using our medium-flat waterbrush. 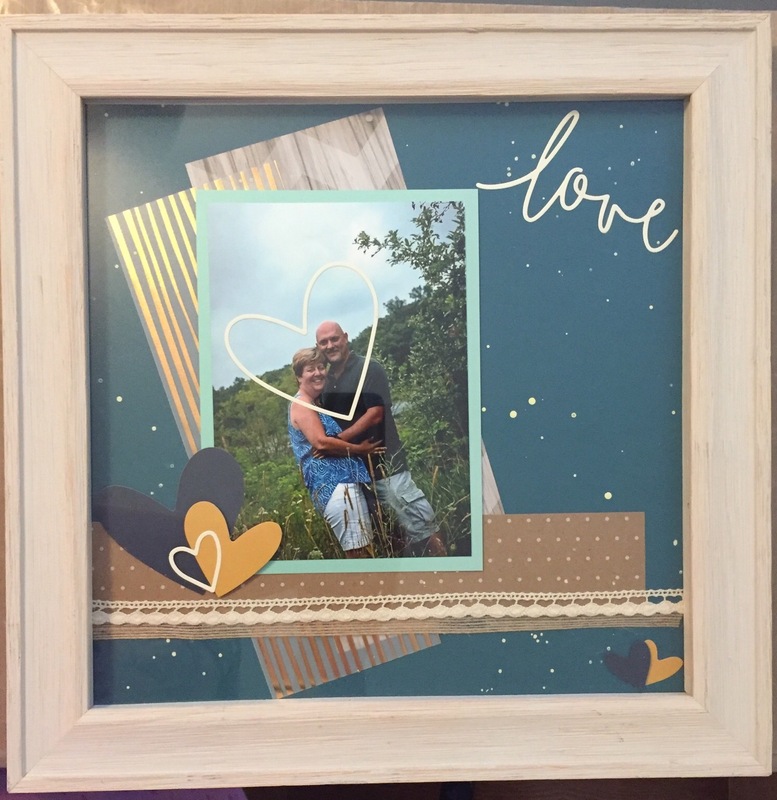 To turn it into a birthday gift, I placed it in a memory frame purchased at a local craft store and Voilà “Happy Birthday, Sis”. 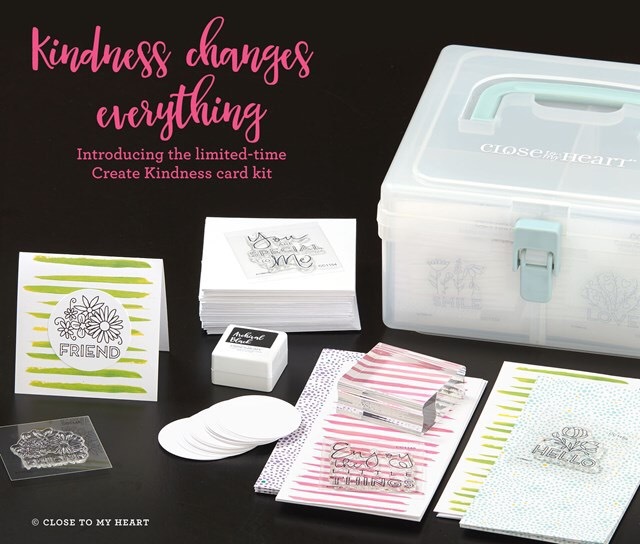 This kit (CC1145)is designed to have everything you need to create 24 cute cards all in one kit! 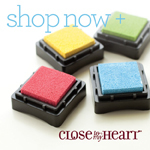 It makes a great starter kit for someone brand new to cardmaking or stamping. 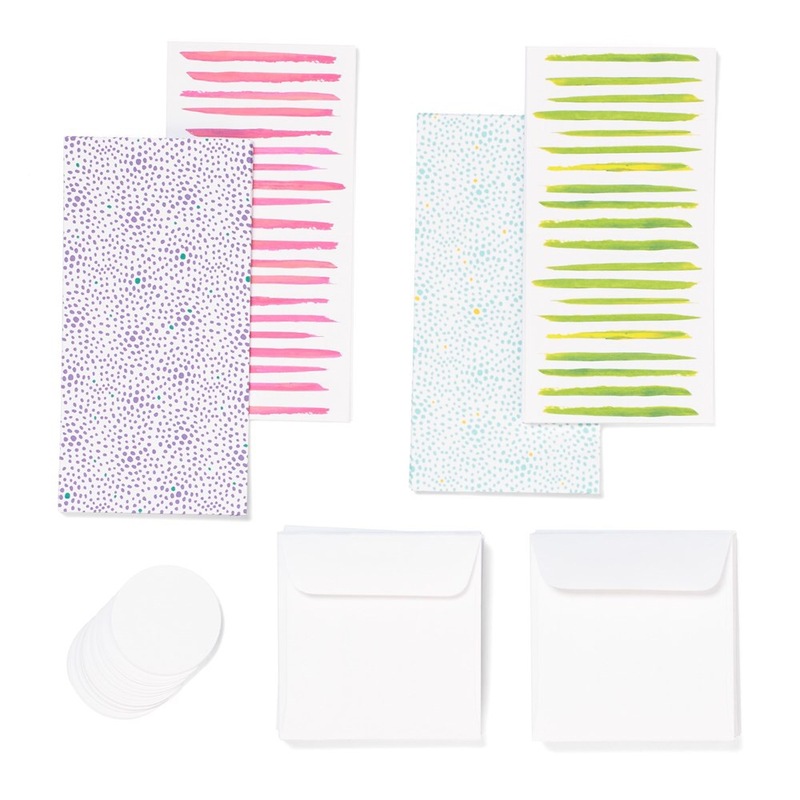 Because this kit has pre-printed card bases and pre-cut white circles to stamp on, the stamps, ink pad and block, the only thing you will need to assemble these cute cards is your favorite adhesive! 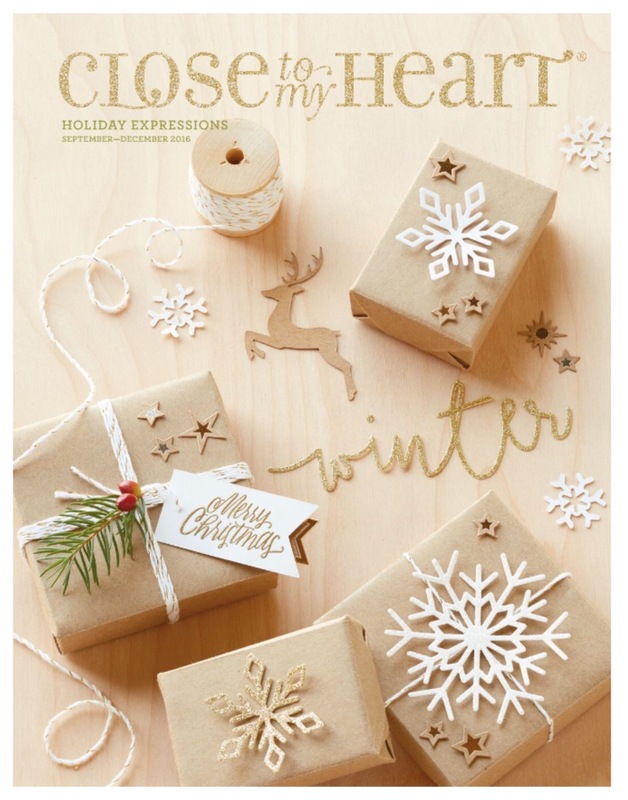 More seasoned crafters will love the eight exclusive M-sized stamp sets included as well as the convenience of having everything all in one kit.